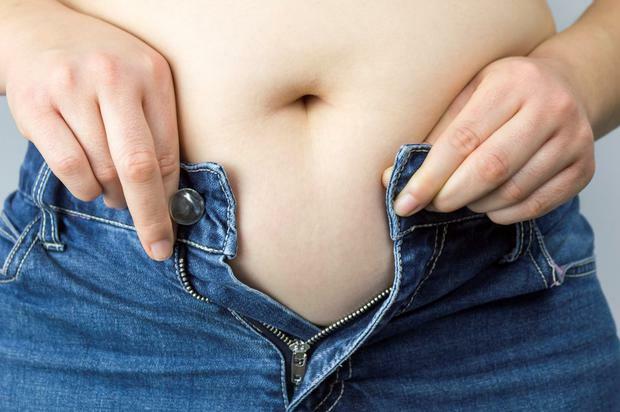 An injection which helps people lose more than a stone in just four weeks has been developed by British scientists in a breakthrough hailed as 'the most exciting' treatment ever found for tackling obesity. Scientists at Imperial College are currently completing human trials into the treatment but confirmed that patients ate 30pc less food, after being treated with the hormone injection which mimics the effect of a gastric band. The injection was so successful some patients were able to come off diabetes medication. Lead researcher Professor Sir Steve Bloom, head of diabetes, endocrinology and metabolism at Imperial, said he hoped to create a therapy within five years which was effective as bariatric surgery, but could be administered as a small painless monthly injection. "It is going to be the most exciting agent for improving health that has yet been discovered," he said. Initially it was thought gastric band surgery worked by reducing the amount of food held in the stomach. But patients were found to have elevated levels of satiety hormones, the chemical signals released by the gut to control digestion and hunger cravings in the brain. Gastric band recipients also began to prefer less fatty foods, suggesting hormones were altering cravings. The new therapy reproduces those hormones, mirroring the effect, without the need for surgery. And unlike surgery, doctors would also be able to vary the dose so that it could be used not only by the obese but also those who just want to control their diet, said Professor Bloom. The Imperial trial involved 20 patients who took a cocktail of three hormones through a patch and a pump for 28 days and saw weight losses of between four pounds and 1.2 stone, almost as good as results from surgery. The team is due to publish its results shortly. "While wearing the pump, you feel less hungry and you stop eating earlier," said Professor Tricia Tan, a consultant in metabolic medicine, who formulated the hormones. "The sensation is like after you have eaten a big meal and you feel really full."